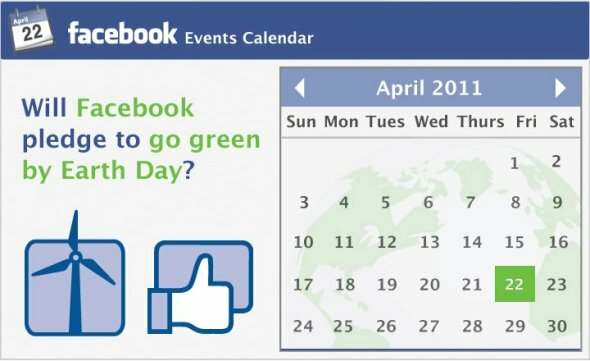 Greenpeace is campaigning to get Facebook to unfriend coal by Earth Day, April 22, and Singaporeans can help to encourage Facebook too. Facebook announced last year that it is building a new energy efficient data centre to serve the hundreds of millions of its users, but the company plans to run it on electricity from burning coal, which is the most carbon intensive fossil fuel and also very pollutive. 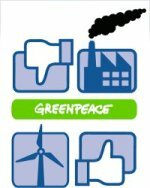 Greenpeace believes that Facebook can move away from coal and switch to clean energy, and influence the rest of the IT sector to do likewise. Singapore loves Facebook and almost one out of two Singaporeans is a Facebook user. 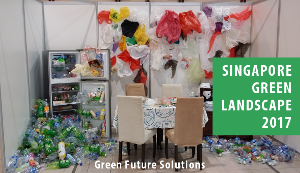 While we use Facebook to connect with our friends or for marketing non-profits and businesses, let us also encourage Facebook to be an environmentally and socially responsible company. 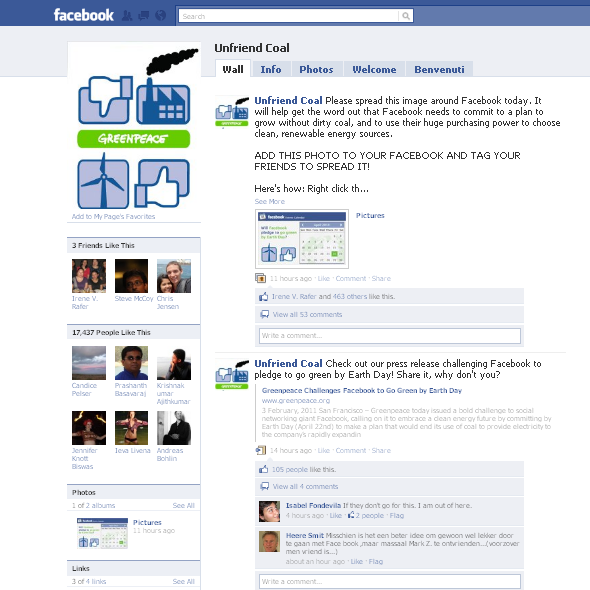 You can show support for Greenpeace’s campaign and encourage Facebook to unfriend coal by Earth Day, simply by liking the Unfriend Coal Facebook page, and sharing the page with your friends. It seems that Facebook is paying attention to the campaign and is willing to take action, from this recent video interview at the World Economic Forum between Kumi Naidoo, Executive Director of Greenpeace, and Randi Zuckerberg, Marketing Director of Facebook and sister of CEO Mark Zuckerberg (watch the 27-min video below to learn about the campaign, and also hear Kumi’s thoughts at Davos and how Greenpeace uses social media). All Facebook needs now is a nudge from its own users, including Singaporeans who love Facebook.